Warlords of Draenor’s cinematic trailer was certainly a treat for hungry eyes, but with that out of the way, it’s time to focus on all the sort of stuff you’ll be able to get up to come November. 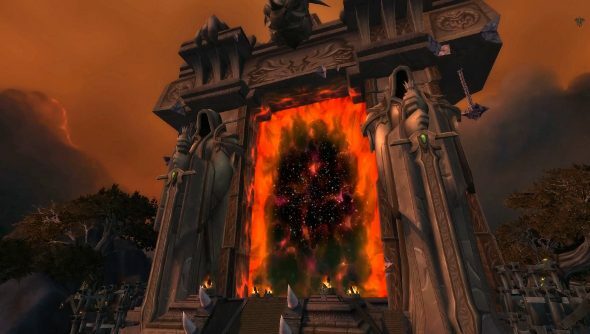 Blizzard’s put together a whirlwind tour of Draenor, with stops at each region, dungeon and raid. It looks like there’s going to be no dearth of things to do once you step through the Dark Portal again. The Warlords of Draenor Collector’s Edition has also been blown wide open. It’s going to have a big box. 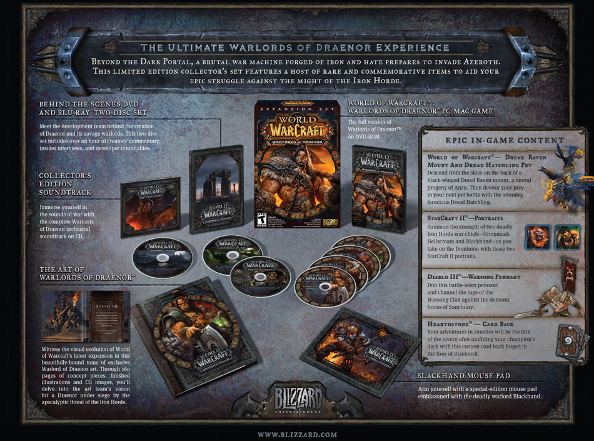 The digital goodies from the Digital Deluxe Edition, like the dread raven mount and hatchling pet, have been thrown in, along with a behind the scenes DVD and Blu-ray set, the soundtrack, an art book and a mouse mat emblazoned with the image of warlord Blackhand. While I’m not normally one for Collector’s Editions – mainly because I’m cheap – I did break and get the Mists of Pandaria one, and I was mighty pleased with it. It was worth it just for the lovely art book, which was well-produced and rather meaty. The mouse mat was a bit crap though. World of Warcraft: Warlords of Draenor is due out on November 13th.